Would an Additional $4 Million/Month Impact Your Bottom Line? With hospital expenses rising and insurance reimbursements shrinking, collecting the $$ you're owed is more important than ever before. 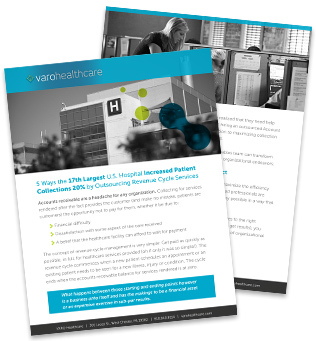 Download this free case study guide and learn why outsourcing makes sense for RCM.